Ah, those striped, hand made knit caps with ear flaps, remember those? They could keep you warm on the coldest planets, and you have to admit, they're pretty cunning. 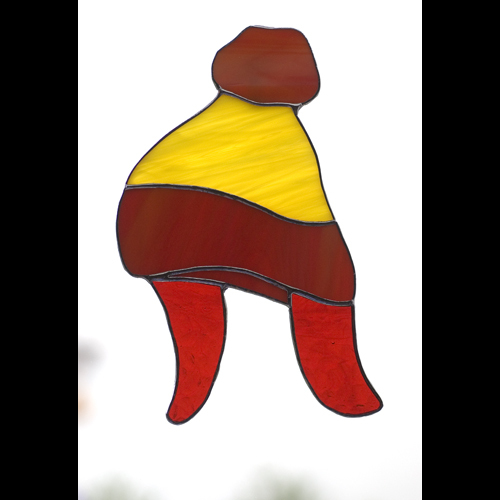 This artistic interpretation of a knit cap is hand made of orange and yellow, and red art glass, and has a hook on the back so you can hang it in your window (suction cup not included). It measures approximately 7 1/4 tall by 4 1/2 inches wide.